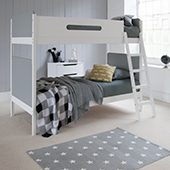 Our utterly efficient multifunctional Cubix mid sleeper, designed for sleep, study and storage. 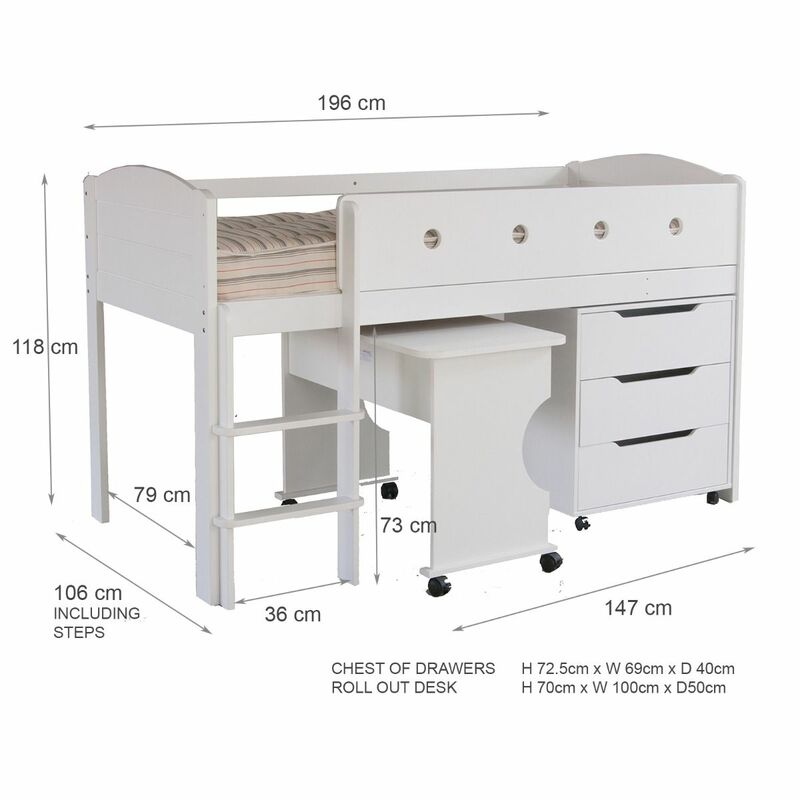 Featuring the ever-so practical combination of a study desk for inspiring homework stints, and a spacious chest of drawers for storing all of their belongings, both have lockable wheels for versatility. 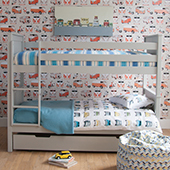 Tuck it all under the bed at the end of the day, for a true space saving mid sleeper solution, perfect for even the smallest of bedrooms! 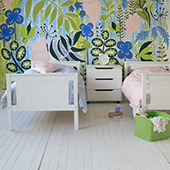 What size mattress is needed?